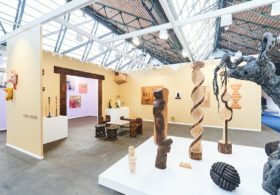 With everyone vying for attention (and to sell, sell, sell) at Frieze London, it’s no wonder that so much of the work on show is of the gilded variety. However there are also plenty of artists making a genuine statement through the art of bling. As we celebrate our latest Luxury-themed issue, Holly Black uncovers the treasures. 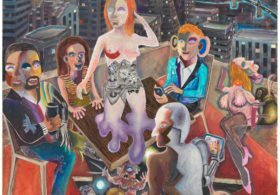 Everyone knows that an art fair’s raison d’être is to sell, which means that plenty of galleries push out their shiniest works in the hope of catching a magpie collector’s eye. 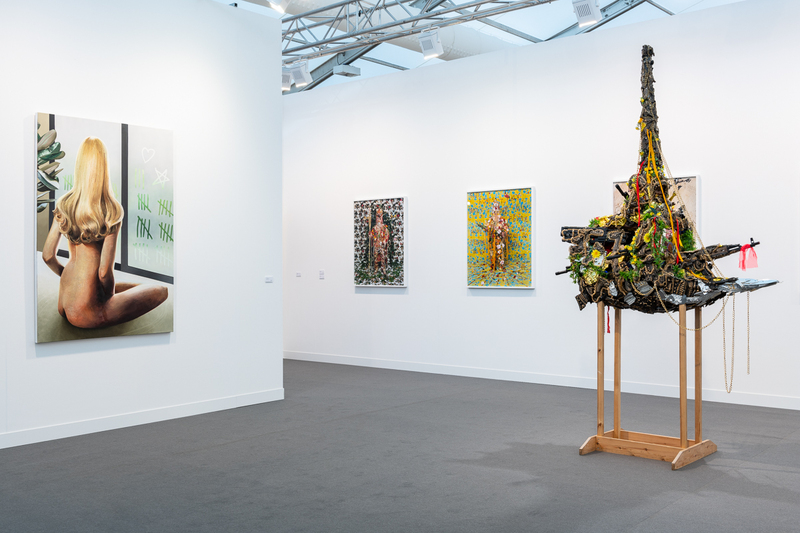 Compound that with the glitziest art crowd you can muster at Frieze, and the entire thing can start to feel like a sparkly pressure cooker. However, there are plenty of artists on show who incorporate gold, hyper-embellishments and other iridescent materials in their work as much more than a gimmick, to explore everything from colonialism and commerce to emotional fragility and global politics. On first glance, Precious Stonewall by French artist Jean-Michel Othoniel seems to be formed from an array of gold bars or carved out from a particularly lavish palace. In fact, this sculpture is formed from a series of hand-rendered amber mirror-glass, which has been polished to an incredible sheen. 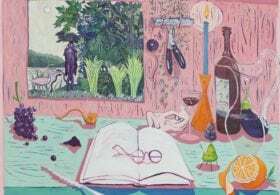 It is one in an ongoing series of works that explores Othoniel’s obsession with glass, both for its malleability and versatility, but also its inherent fragility. 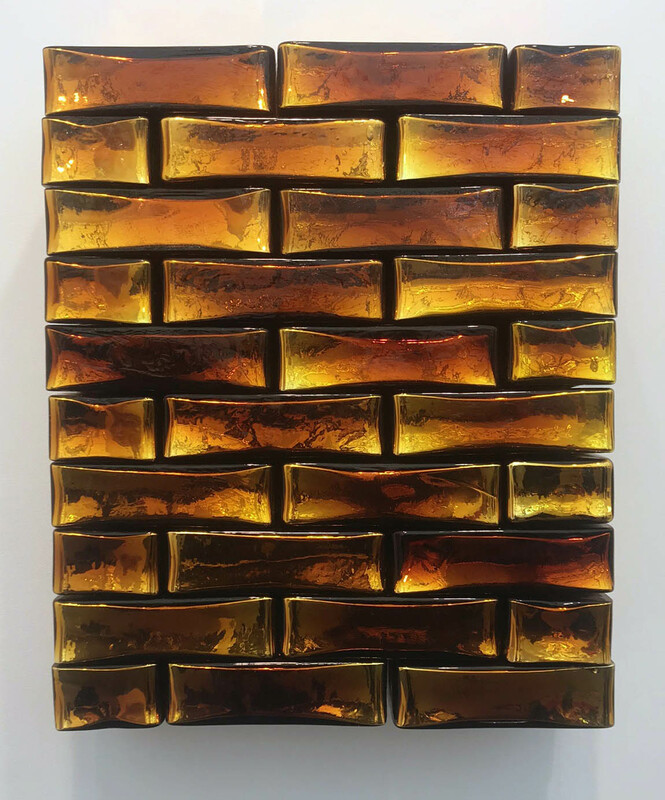 Although Precious Stonewall is naturally alluring, the artist is keen to embrace the possibility for cracks and flaws, thus allowing the viewer to be “seduced” by outward perfection, before experiencing more complex layers of vulnerability and despair. 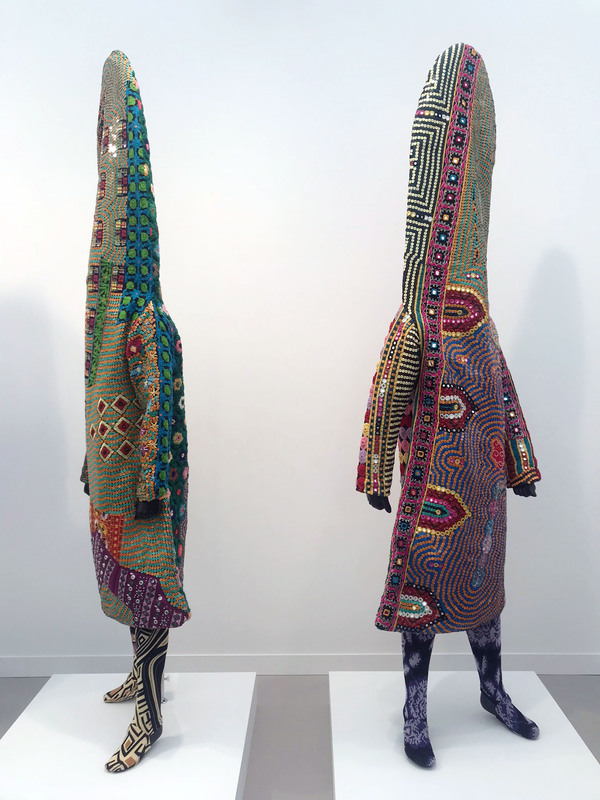 Nick Cave’s Soundsuits rarely fail to make me crack a smile. These incredible garments are designed to cover the body in ostentatious materials that mask physical characteristics and create a “second skin”, therefore preventing inherent prejudices to do with class, race and gender. These wearable sculptures (many have been worn by dancers working in collaboration with Cave) also come in a variety of forms, from brightly coloured furs and flowers to the glitzy vintage textiles and sequinned appliqués seen at Frieze London. 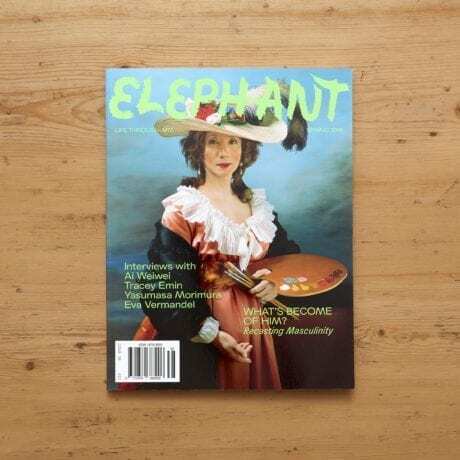 Read our interview with the artist in issue 35. 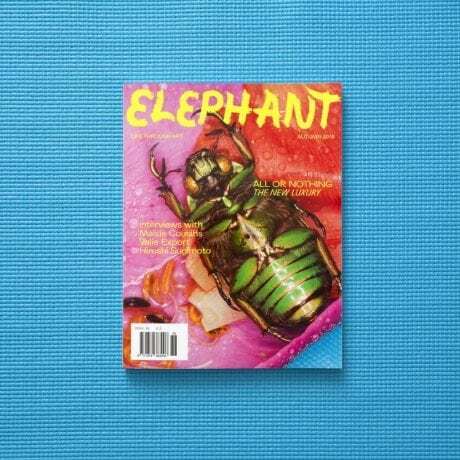 Moroccan-born British artist Hassan Hajjaj is best-known for his dynamic portraits that combine glossy fashion shoots with Moroccan street culture and everyday ephemera. At Frieze, however, he blends associations of brand-name luxury with the most basic of human comforts, in the form of a seat carved from marble. This unusual piece depicts an upended Coca-Cola crate, with the logo emblazoned in gold leaf, on which a traditional cushion decorated with the Louis Vuitton logo rests. This strange fusion of visual motifs pokes fun at aspirational branding while commenting on the ubiquitous visibility they maintain. Interestingly, the first of this edition of three had already sold at the collector’s preview, but I wonder, were they in on the joke? 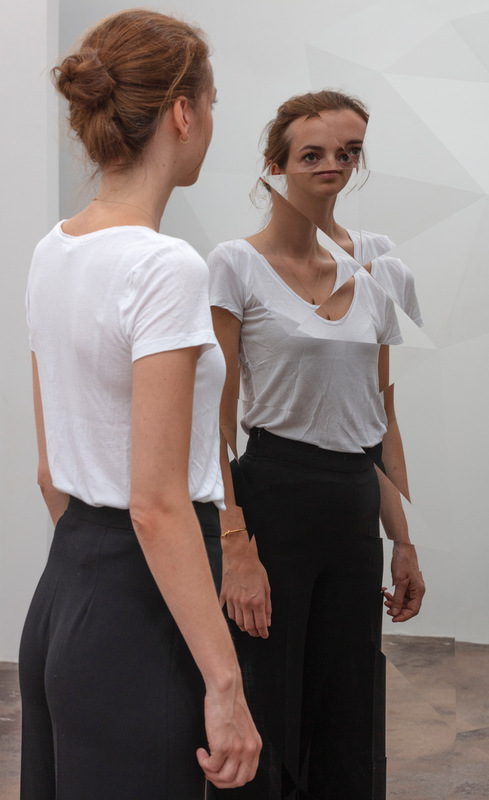 The selfie game is strong at Frieze, so you’ll always find a sea of people clustered around any form of a reflective surface. Jeppe Hein’s Fragmented Circle does a fantastic job of frustrating those hoping for a good shot, because the multiple reflective planes are designed to disorientate. Within the centre of this steel sculpture, it seems as if a gigantic diamond is springing forth from within, though in reality it is an illusion formed by two intersecting sheets of metal. 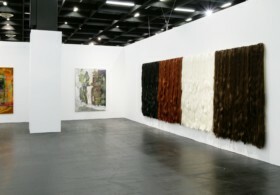 The notion of a transient, unobtainable jewel seems particularly pertinent in the context of an art fair. 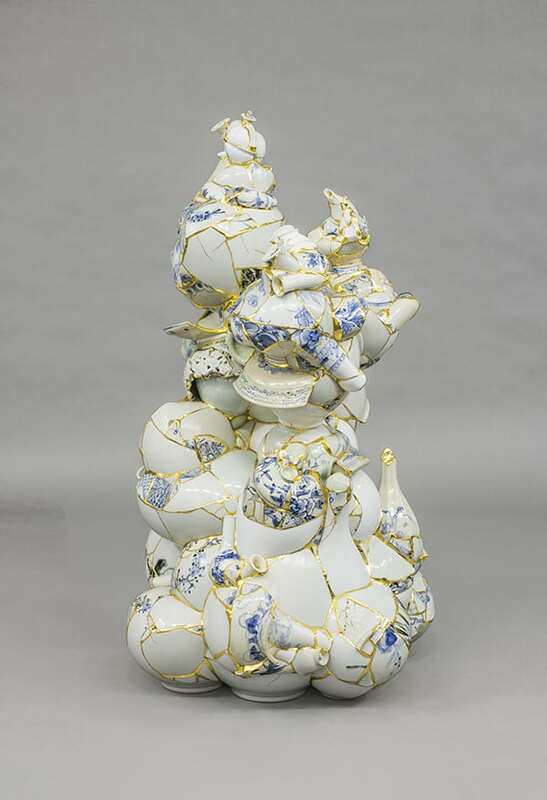 Yee Sookyung’s Translated Vase series reconsiders the value of the masterpiece, by collecting smashed fragments discarded by artisan ceramicists and creating entirely new works fused together by deep veins of 24k gold leaf. 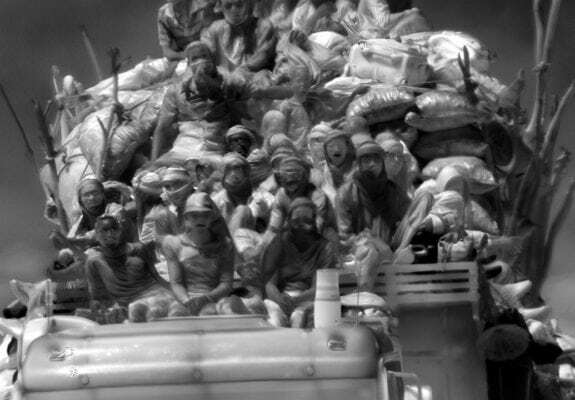 These new forms upend art historical hierarchies and nationalistic narratives, celebrating beauty in an entirely different manner and forcing us to question how we place significance on particular objects. 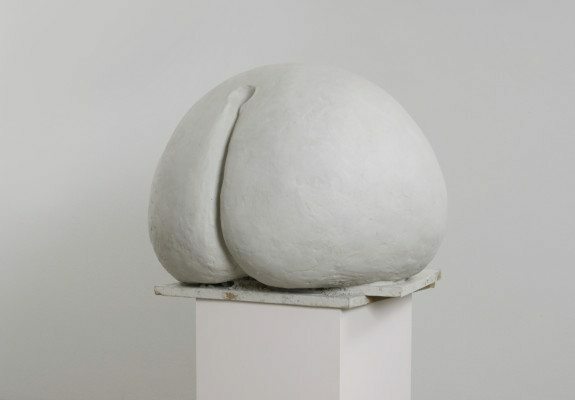 Their bulbous, misshapen forms go against everything you would naturally associate with beauty in ceramics and invite you to completely readdress your preconceptions. 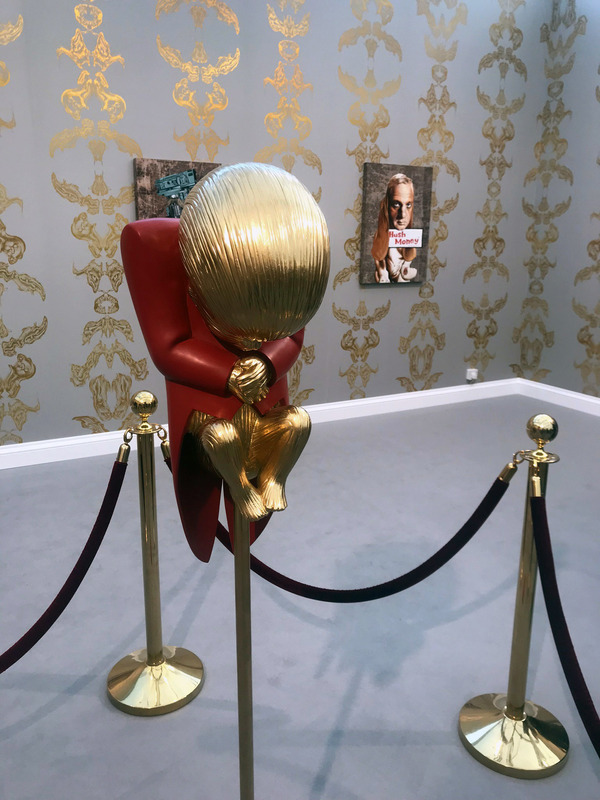 In what could be termed a mini gilded palace, American artist Jim Shaw has created an installation dripping in political satire, complete with a red velvet rope protecting a thoroughly disturbing effigy of Donald Trump as a golden fetus. This unsightly centrepiece is surrounded by cartoons that present the current state of American politics through a series of kitsch advertising, military propaganda and children’s cartoons. The overall effect is of a crass, faux-luxurious hotel complex, so it comes as no surprise that the shimmering wallpaper was based on the interiors Trump’s Mar a Lago resort. 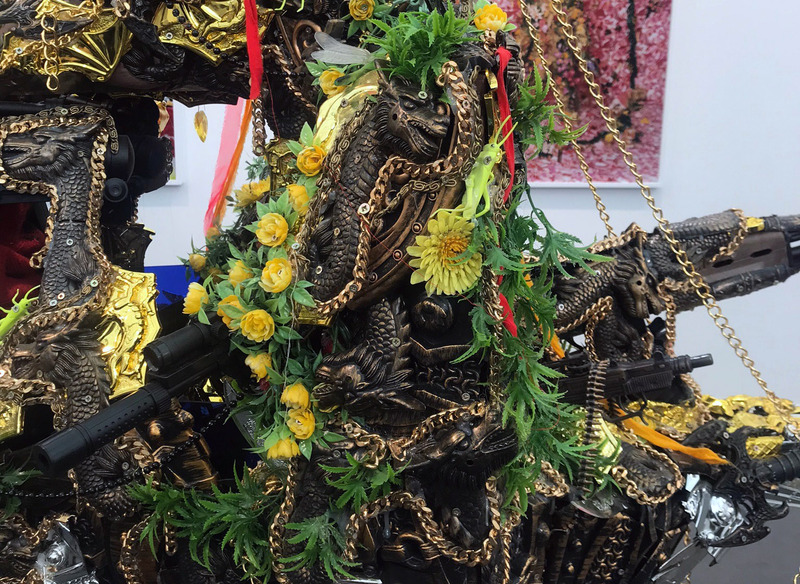 Although the gallery has presented several photographic works by Hew Locke, the shining star is undoubtedly a gigantic sculpture that resembles a military vessel, covered in golden chains, dragon heads, replica guns and plastic flowers. The menacing creation looks as if it has been pulled from a particularly wealthy shipwreck. Locke, who was raised primarily in Guyana, has long been preoccupied with the visual manifestations of colonial power, particularly through monuments and statues. In this creation, he amalgamates seemingly throwaway objects that represent oppression, commerce and corrupt wealth distribution in a way that is both combative and disturbingly seductive. 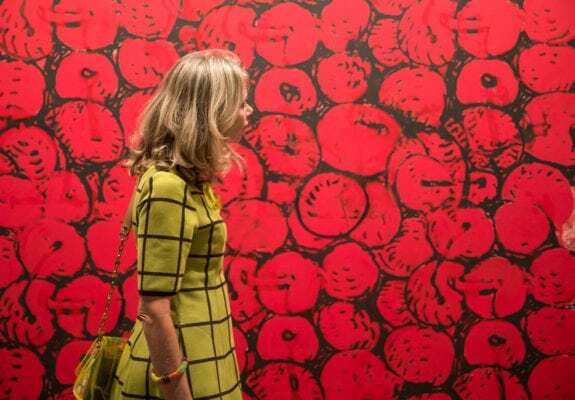 Colour and texture are the order of the day at Chicago’s annual art fair, with many artists embracing bright tones and tactile materials. 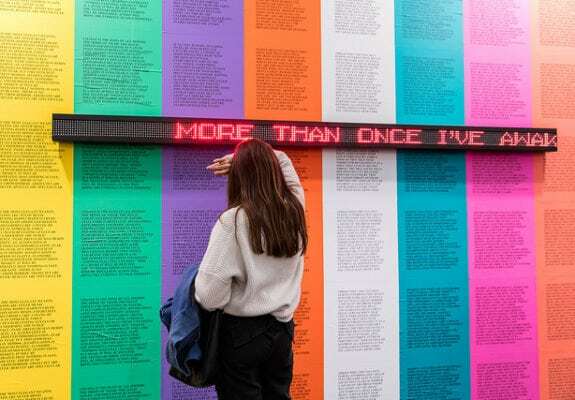 Play along with us this Frieze Week and spot art world glitterati, contemporary clichés and ultimate fair fails. Get a full house for the chance to win. In an environment where the clock keeps ticking, it’s the time-based works which allow us to take a moment and really engage. 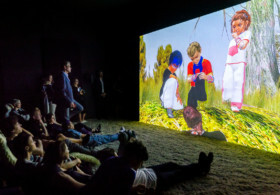 Emily Steer dives into Basel’s videos.